Borderline Personality was a balloted studio led by Steven Christensen at the University of Michigan Taubman College of Architecture and Urban Planning. 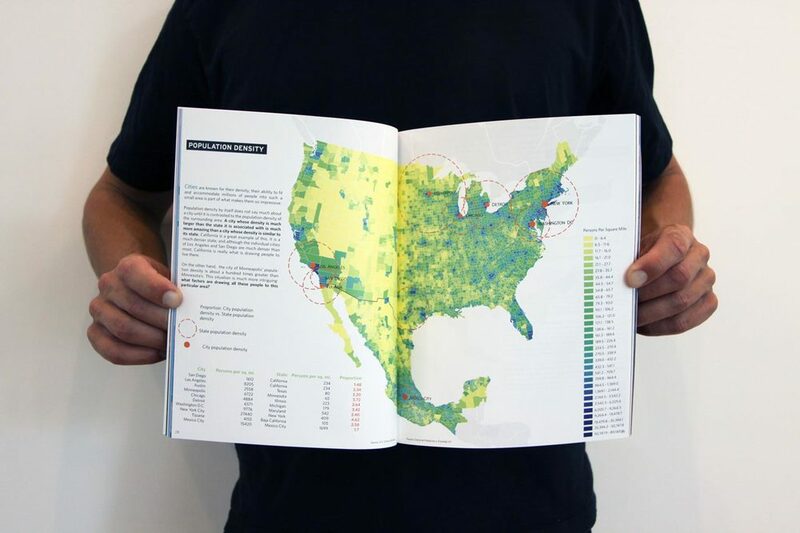 This publication was produced collaboratively by the team, and compiles the research gathered during the site analysis phase of the Wallenberg studio. Student travel to the border region was graciously funded in part by the Bernard Maas Foundation. The word infrastructure is still in its infancy, having only recently become the primary way we refer to the physical and organizational structures that allow our society to operate. Although the term was used by the US military to describe certain tactical projects in the 1940s, it was not commonly used in a civilian context until 1970. Until that time, these civic structures were referred to as public works, a term with a very different political connotation. Whereas the word infrastructure remains abstract in its relationship to existing social systems (connoting only the physical or some invisible substratum thereof) the term public works suggests a constructed reflection of the needs, priorities, values, and aspirations of an associated public. The San Diego – Tijuana Metropolitan Area is a territory of continuous urban fabric that includes the city and suburbs of San Diego in the US and Tijuana, Playas de Rosarito, and Tecate in Mexico. The population of this region is just over 5 million, making it by far the largest bi-national community in North America. Were the Mexican population included in the US government’s rankings, this region would be the 10th largest Metropolitan Statistical Area (larger than the MSA that includes Boston, Cambridge, Quincy, and the other cities that are part of that Massachusetts/New Hampshire conurbation). Paradoxically, the geographical center of this vibrant metropolis is demarcated by a fissure in the urban fabric, the US/Mexico border. While the cities that make up this binational metropolis are linked in myriad ways, the border that bisects them is a demarcation of extreme political contention and a physical reminder of the economic disparities that characterize the two halves of this community. Acting like a massive funnel in this vast bisected territory, the San Ysidro / Tijuana Port of Entry channels the majority of its population from one side to the other. This is the single busiest border crossing in the world, with over 40 million people traversing it each year. It is a bizarre circulation machine, with pedestrian checkpoints, a trolley station, freight train lines, and 24 vehicle inspection lanes in one direction, eight in the other. It is this community’s most prominent architectural ambassador, yet it speaks no language. From a functional standpoint alone, this piece of urban infrastructure is a complete failure. Pedestrians must navigate a confounding maze of switchbacks, bridges, and circuitous paths. Those who attempt to drive north across the border endure wait times of up to 5 hours, prompting many frequent travelers to store a car on each side of the border and cross by foot. Perhaps even more problematic is the affective character of this border station. It offers users an alienating experience without comparison, an incredibly pessimistic outlook of what is to be found on the other side. As the busiest border crossing in the world, this site offers a unique opportunity for Mexico and the US to replace a banal and congested piece of infrastructure with a public work that is a reflection of regional/national identity and civic pride. Could this central piece of infrastructure be the locus for an architectural intervention that reflects the shared aspirations of North America’s largest bi-national community; a counterpoint to the proposed ‘Triple Border Fence’ it traverses? How can a gesture of alliance go beyond simply whitewashing a highly contentious political divide and actually improve the user experience? Should this community, in understanding of its unique relationship to the border, assert its connectedness in defiance of a divisive national rhetoric through a public work that offers new opportunities for occupation and political action? Rather than lingering in the realm of utopian illusion, the studio recognizes the continued existence of the border and seeks tactical, speculative, and timely solutions to the critical design problem of the threshold. Projects should demonstrate how this piece of infrastructure functions as part of a larger network of urban public spaces, pedestrian and transit routes, and economic flows, and students are encouraged to expand the current program of the border crossing to afford other uses and offer new public amenities.